The all-new 8″ vinyl bank of a warrior-class Xenomorph from Diamond Select Toys is ready to hold all of your spare change! 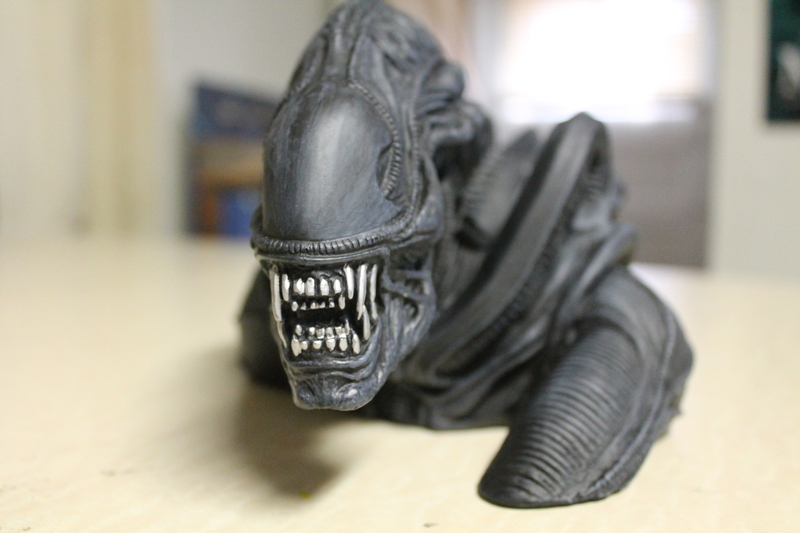 The ALIENS Alien Warrior Vinyl Bust Bank features a coin slot on its back along with an access door on the bottom, but it has the look and feel of an incredibly detailed bust. This item is a must-have for any fans of the classic sci-fi film. 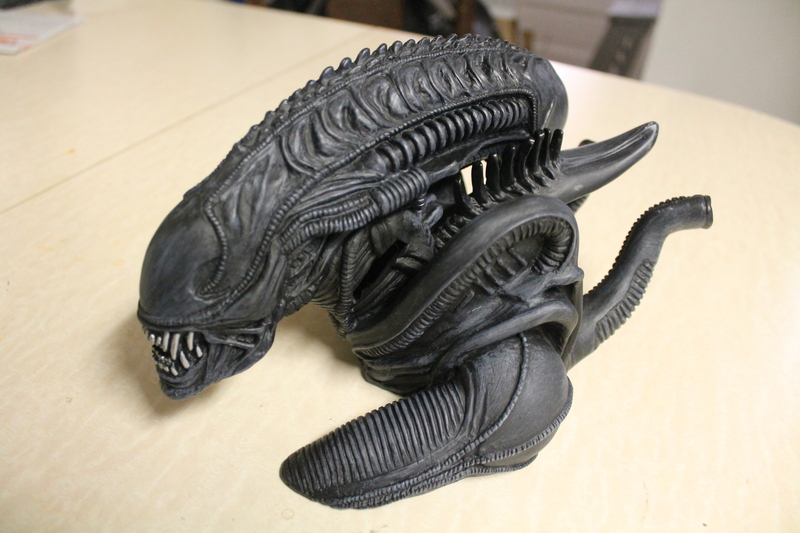 Being a huge fan of the ALIENS franchise myself, I was very happy to see the detail that was put into this 8″ collector’s bank. This item will fit perfectly into any fan’s collection of memorabilia from the franchise. 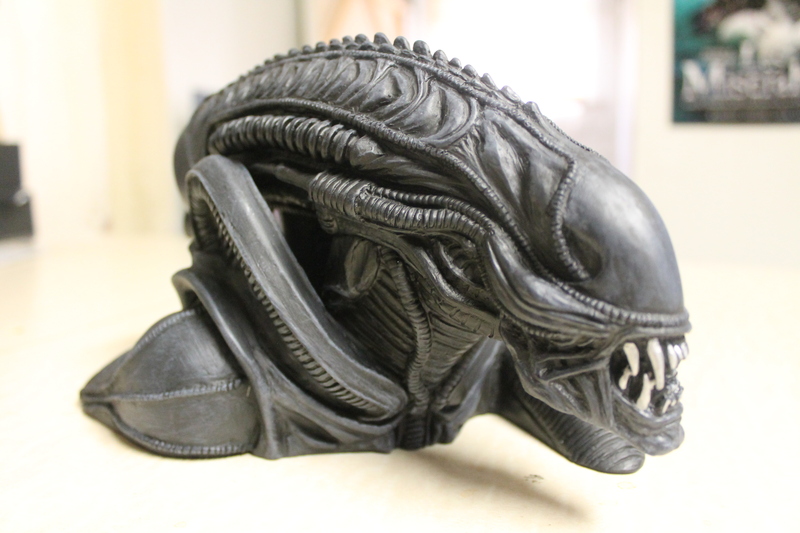 The bank perfectly captures every aspect of the feared alien species, and it holds your money. What more could anyone want? For all of your Diamond Select Toys reviews, keep it here on NYCityGuys! Previous Entry The Venture Bros Exclusive Sheet Set Review!